**CERTIFIED** GREAT CONDITION!! MUST SEE TO APPRECIATE!!! **1-OWNER** Sirius XM Satellite * Bluetooth Wireless * MP3 * Power Windows * Power Doors Locks * Tilt & Telescoping Wheel * and more. . . . . .WE ARE FINANCE EXPERTS!!! GREAT FINANCING AVAILABLE!!! WE Can Finance Just about Anyone!!! . . . **CERTIFIED** 151-Point Inspection by Factory Trained & Certified Technicians 4 Speakers, 4-Wheel Disc Brakes, ABS brakes, Air Conditioning, AM/FM radio: SiriusXM, AM/FM/CD/MP3 Audio System, Brake assist, Bumpers: body-color, Carpeted Floor Mats, CD player, Cloth Seat Trim, Delay-off headlights, Driver door bin, Driver vanity mirror, Dual front impact airbags, Dual front side impact airbags, Electronic Stability Control, Front anti-roll bar, Front Bucket Seats, Front Center Armrest, Front wheel independent suspension, Heated door mirrors, Illuminated entry, Low tire pressure warning, MP3 decoder, Occupant sensing airbag, Outside temperature display, Overhead airbag, Panic alarm, Passenger door bin, Passenger vanity mirror, Power door mirrors, Power steering, Power windows, Rear window defroster, Remote keyless entry, Split folding rear seat, Steering wheel mounted audio controls, Tachometer, Telescoping steering wheel, Tilt steering wheel, Traction control, Trip computer, Variably intermittent wipers, Wheels: 15" x 6.0" Steel w/Wheel Covers. 2016 Kia Forte Steel Blue Metallic LX NO PRESSURE SALES!!! Citrus Motors, Where No Pressure Means A Great Deal! Call to confirm availability and setup your appointment today! 888-399-0475. We are located at: 1375 S Woodruff Way Ontario, CA 91761 www.CitrusMotors.com/ Clean CARFAX. **CERTIFIED** GREAT CONDITION!! $$$ GAS SAVER!! **1-OWNER** Sirius XM Satellite * Bluetooth Wireless * Keyless Entry * MP3 * Power Windows * Power Doors Locks * Cruise Control * Tilt & Telescoping Wheel * and more. . . . . .WE ARE FINANCE EXPERTS!!! GREAT FINANCING AVAILABLE!!! WE Can Finance Just about Anyone!!! . . . **CERTIFIED** 151-Point Inspection by Factory Trained & Certified Technicians 4 Speakers, 4-Wheel Disc Brakes, ABS brakes, Air Conditioning, AM/FM radio: SiriusXM, AM/FM/CD/MP3 Audio System, Brake assist, Bumpers: body-color, Carpeted Floor Mats, CD player, Cloth Seat Trim, Delay-off headlights, Driver door bin, Driver vanity mirror, Dual front impact airbags, Dual front side impact airbags, Electronic Stability Control, Front anti-roll bar, Front Bucket Seats, Front Center Armrest, Front wheel independent suspension, Heated door mirrors, Illuminated entry, Low tire pressure warning, MP3 decoder, Occupant sensing airbag, Outside temperature display, Overhead airbag, Panic alarm, Passenger door bin, Passenger vanity mirror, Power door mirrors, Power steering, Power windows, Rear window defroster, Remote keyless entry, Split folding rear seat, Steering wheel mounted audio controls, Tachometer, Telescoping steering wheel, Tilt steering wheel, Traction control, Trip computer, Variably intermittent wipers, Wheels: 15" x 6.0" Steel w/Wheel Covers. 2016 Kia Forte Crimson Red Metallic LX NO PRESSURE SALES!!! Citrus Motors, Where No Pressure Means A Great Deal! Call to confirm availability and setup your appointment today! 888-399-0475. We are located at: 1375 S Woodruff Way Ontario, CA 91761 www.CitrusMotors.com/ Clean CARFAX. **CERTIFIED** LOW LOW MILES!! IMPECCABLE CONDITION!! **1-OWNER** Sirius XM Satellite * Bluetooth Wireless * Keyless Entry * MP3 * Power Windows * Power Doors Locks * Cruise Control * Tilt & Telescoping Wheel * and more. . . . . .WE ARE FINANCE EXPERTS!!! GREAT FINANCING AVAILABLE!!! WE Can Finance Just about Anyone!!! . . . **CERTIFIED** 151-Point Inspection by Factory Trained & Certified Technicians 4 Speakers, 4-Wheel Disc Brakes, ABS brakes, Air Conditioning, AM/FM radio: SiriusXM, AM/FM/CD/MP3 Audio System, Brake assist, Bumpers: body-color, Cargo Mat, Carpeted Floor Mats, CD player, Cloth Seat Trim, Delay-off headlights, Driver door bin, Driver vanity mirror, Dual front impact airbags, Dual front side impact airbags, Electronic Stability Control, Front anti-roll bar, Front Bucket Seats, Front Center Armrest, Front wheel independent suspension, Heated door mirrors, Illuminated entry, Low tire pressure warning, MP3 decoder, Occupant sensing airbag, Outside temperature display, Overhead airbag, Panic alarm, Passenger door bin, Passenger vanity mirror, Power door mirrors, Power steering, Power windows, Rear window defroster, Remote keyless entry, Split folding rear seat, Steering wheel mounted audio controls, Tachometer, Telescoping steering wheel, Tilt steering wheel, Traction control, Trip computer, Variably intermittent wipers, Wheels: 15" x 6.0" Steel w/Wheel Covers. 2016 Kia Forte Clear White LX NO PRESSURE SALES!!! Citrus Motors, Where No Pressure Means A Great Deal! Call to confirm availability and setup your appointment today! 888-399-0475. We are located at: 1375 S Woodruff Way Ontario, CA 91761 www.CitrusMotors.com/ Clean CARFAX. **CERTIFIED** PRISTINE CONDITION!! AWD!! Backup Camera * Rear Spoiler * Sirius XM Satellite * Bluetooth Wireless * Keyless Entry * Alloy Wheels * MP3 * Power Windows * Power Doors Locks * Cruise Control * Tilt & Telescoping Wheel * and more. . . . . .WE ARE FINANCE EXPERTS!!! GREAT FINANCING AVAILABLE!!! WE Can Finance Just about Anyone!!! . . . **CERTIFIED** 151-Point Inspection by Factory Trained & Certified Technicians 3.20 Axle Ratio, 4-Wheel Disc Brakes, 6 Speakers, ABS brakes, Air Conditioning, Alloy wheels, AM/FM radio: SiriusXM, Brake assist, Bumpers: body-color, Carpet Floor Mats, Cloth Seat Trim, Delay-off headlights, Driver door bin, Driver vanity mirror, Dual front impact airbags, Dual front side impact airbags, Electronic Stability Control, Exterior Parking Camera Rear, Four wheel independent suspension, Front anti-roll bar, Front Bucket Seats, Front Center Armrest, Front fog lights, Front reading lights, Fully automatic headlights, Illuminated entry, Low tire pressure warning, Occupant sensing airbag, Outside temperature display, Overhead airbag, Overhead console, Panic alarm, Passenger door bin, Passenger vanity mirror, Power door mirrors, Power steering, Power windows, Radio: AM/FM/MP3/SiriusXM, Rear anti-roll bar, Rear seat center armrest, Rear window defroster, Rear window wiper, Remote keyless entry, Security system, Speed control, Speed-sensing steering, Split folding rear seat, Spoiler, Steering wheel mounted audio controls, Tachometer, Telescoping steering wheel, Tilt steering wheel, Traction control, Trip computer, Variably intermittent wipers. 2018 Kia Sportage Copper LX NO PRESSURE SALES!!! 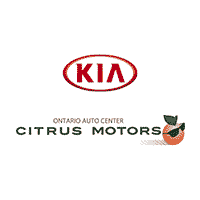 Citrus Motors, Where No Pressure Means A Great Deal! Call to confirm availability and setup your appointment today! 888-399-0475. We are located at: 1375 S Woodruff Way Ontario, CA 91761 www.CitrusMotors.com/ Clean CARFAX. CARFAX One-Owner. **CERTIFIED** EXCELLENT CONDITION!! Backup Camera * Rear Spoiler * Sirius XM Satellite * Bluetooth Wireless * Keyless Entry * Alloy Wheels * MP3 * Power Windows * Power Doors Locks * Cruise Control * Tilt & Telescoping Wheel * and more. . . . . .WE ARE FINANCE EXPERTS!!! GREAT FINANCING AVAILABLE!!! WE Can Finance Just about Anyone!!! . . . **CERTIFIED** 151-Point Inspection by Factory Trained & Certified Technicians 3.06 Axle Ratio, 4-Wheel Disc Brakes, 6 Speakers, ABS brakes, Air Conditioning, Alloy wheels, AM/FM radio: SiriusXM, Brake assist, Bumpers: body-color, Carpet Floor Mats, Cloth Seat Trim, Delay-off headlights, Driver door bin, Driver vanity mirror, Dual front impact airbags, Dual front side impact airbags, Electronic Stability Control, Exterior Parking Camera Rear, Four wheel independent suspension, Front anti-roll bar, Front Bucket Seats, Front Center Armrest, Front reading lights, Fully automatic headlights, Illuminated entry, Low tire pressure warning, Occupant sensing airbag, Outside temperature display, Overhead airbag, Overhead console, Panic alarm, Passenger door bin, Passenger vanity mirror, Power door mirrors, Power steering, Power windows, Radio: AM/FM/MP3/SiriusXM, Rear anti-roll bar, Rear seat center armrest, Rear window defroster, Rear window wiper, Remote keyless entry, Security system, Speed control, Speed-sensing steering, Split folding rear seat, Spoiler, Steering wheel mounted audio controls, Tachometer, Telescoping steering wheel, Tilt steering wheel, Traction control, Trip computer, Variably intermittent wipers. 2018 Kia Sportage Sparkling Silver LX NO PRESSURE SALES!!! Citrus Motors, Where No Pressure Means A Great Deal! Call to confirm availability and setup your appointment today! 888-399-0475. We are located at: 1375 S Woodruff Way Ontario, CA 91761 www.CitrusMotors.com/ Clean CARFAX. CARFAX One-Owner. **CERTIFIED** IMPECCABLE CONDITION!! Well Maintained!!! Backup Camera * Rear Spoiler * Sirius XM Satellite * Bluetooth Wireless * Keyless Entry * Alloy Wheels * MP3 * Power Windows * Power Doors Locks * Cruise Control * Tilt & Telescoping Wheel * and more. . . . . .WE ARE FINANCE EXPERTS!!! GREAT FINANCING AVAILABLE!!! WE Can Finance Just about Anyone!!! . . . **CERTIFIED** 151-Point Inspection by Factory Trained & Certified Technicians 3.06 Axle Ratio, 4-Wheel Disc Brakes, 6 Speakers, ABS brakes, Air Conditioning, Alloy wheels, AM/FM radio: SiriusXM, Brake assist, Bumpers: body-color, Carpet Floor Mats, Cloth Seat Trim, Delay-off headlights, Driver door bin, Driver vanity mirror, Dual front impact airbags, Dual front side impact airbags, Electronic Stability Control, Exterior Parking Camera Rear, Four wheel independent suspension, Front anti-roll bar, Front Bucket Seats, Front Center Armrest, Front reading lights, Fully automatic headlights, Illuminated entry, Low tire pressure warning, Occupant sensing airbag, Outside temperature display, Overhead airbag, Overhead console, Panic alarm, Passenger door bin, Passenger vanity mirror, Power door mirrors, Power steering, Power windows, Radio: AM/FM/MP3/SiriusXM, Rear anti-roll bar, Rear seat center armrest, Rear window defroster, Rear window wiper, Remote keyless entry, Security system, Speed control, Speed-sensing steering, Split folding rear seat, Spoiler, Steering wheel mounted audio controls, Tachometer, Telescoping steering wheel, Tilt steering wheel, Traction control, Trip computer, Variably intermittent wipers. 2018 Kia Sportage Mineral Silver LX NO PRESSURE SALES!!! Citrus Motors, Where No Pressure Means A Great Deal! Call to confirm availability and setup your appointment today! 888-399-0475. We are located at: 1375 S Woodruff Way Ontario, CA 91761 www.CitrusMotors.com/ Clean CARFAX. **CERTIFIED** PRISTINE CONDITION!! **1-OWNER** Backup Camera * Rear Spoiler * Sirius XM Satellite * Bluetooth Wireless * Alloy Wheels * MP3 * Power Windows * Power Doors Locks * Cruise Control * Tilt & Telescoping Wheel * and more. . . . . .WE ARE FINANCE EXPERTS!!! GREAT FINANCING AVAILABLE!!! WE Can Finance Just about Anyone!!! . . . **CERTIFIED** 151-Point Inspection by Factory Trained & Certified Technicians 3.06 Axle Ratio, 4-Wheel Disc Brakes, 6 Speakers, ABS brakes, Air Conditioning, Alloy wheels, AM/FM radio: SiriusXM, Brake assist, Bumpers: body-color, Carpet Floor Mats, Cloth Seat Trim, Delay-off headlights, Driver door bin, Driver vanity mirror, Dual front impact airbags, Dual front side impact airbags, Electronic Stability Control, Exterior Parking Camera Rear, Four wheel independent suspension, Front anti-roll bar, Front Bucket Seats, Front Center Armrest, Front reading lights, Fully automatic headlights, Illuminated entry, Low tire pressure warning, Occupant sensing airbag, Outside temperature display, Overhead airbag, Overhead console, Panic alarm, Passenger door bin, Passenger vanity mirror, Power door mirrors, Power steering, Power windows, Radio: AM/FM/MP3/SiriusXM, Rear anti-roll bar, Rear seat center armrest, Rear window defroster, Rear window wiper, Remote keyless entry, Security system, Speed control, Speed-sensing steering, Split folding rear seat, Spoiler, Steering wheel mounted audio controls, Tachometer, Telescoping steering wheel, Tilt steering wheel, Traction control, Trip computer, Variably intermittent wipers. 2018 Kia Sportage Black Cherry LX NO PRESSURE SALES!!! Citrus Motors, Where No Pressure Means A Great Deal! Call to confirm availability and setup your appointment today! 888-399-0475. We are located at: 1375 S Woodruff Way Ontario, CA 91761 www.CitrusMotors.com/ Clean CARFAX. CARFAX One-Owner. **CERTIFIED** EXCELLENT CONDITION!! Backup Camera * Sirius XM Satellite * Bluetooth Wireless * Keyless Entry * Alloy Wheels * MP3 * Power Windows * Power Doors Locks * Cruise Control * Tilt & Telescoping Wheel * and more. . . . . .WE ARE FINANCE EXPERTS!!! GREAT FINANCING AVAILABLE!!! WE Can Finance Just about Anyone!!! . . . **CERTIFIED** 151-Point Inspection by Factory Trained & Certified Technicians 3.06 Axle Ratio, 4-Wheel Disc Brakes, 6 Speakers, ABS brakes, Air Conditioning, Alloy wheels, AM/FM radio: SiriusXM, Brake assist, Bumpers: body-color, Carpet Floor Mats, Cloth Seat Trim, Delay-off headlights, Driver door bin, Driver vanity mirror, Dual front impact airbags, Dual front side impact airbags, Electronic Stability Control, Exterior Parking Camera Rear, Four wheel independent suspension, Front anti-roll bar, Front Bucket Seats, Front Center Armrest, Front reading lights, Fully automatic headlights, Illuminated entry, Low tire pressure warning, Occupant sensing airbag, Outside temperature display, Overhead airbag, Overhead console, Panic alarm, Passenger door bin, Passenger vanity mirror, Power door mirrors, Power steering, Power windows, Radio: AM/FM/MP3/SiriusXM, Rear anti-roll bar, Rear seat center armrest, Rear window defroster, Rear window wiper, Remote keyless entry, Security system, Speed control, Speed-sensing steering, Split folding rear seat, Spoiler, Steering wheel mounted audio controls, Tachometer, Telescoping steering wheel, Tilt steering wheel, Traction control, Trip computer, Variably intermittent wipers. 2018 Kia Sportage Clear White LX NO PRESSURE SALES!!! Citrus Motors, Where No Pressure Means A Great Deal! Call to confirm availability and setup your appointment today! 888-399-0475. We are located at: 1375 S Woodruff Way Ontario, CA 91761 www.CitrusMotors.com/ Clean CARFAX. CARFAX One-Owner. **CERTIFIED** IMPECCABLE CONDITION!! LIKE BRAND NEW!! Backup Camera * Rear Spoiler * Sirius XM Satellite * Bluetooth Wireless * Keyless Entry * Alloy Wheels * MP3 * Power Windows * Power Doors Locks * Cruise Control * Tilt & Telescoping Wheel * and more. . . . . .WE ARE FINANCE EXPERTS!!! GREAT FINANCING AVAILABLE!!! WE Can Finance Just about Anyone!!! . . . **CERTIFIED** 151-Point Inspection by Factory Trained & Certified Technicians 3.06 Axle Ratio, 4-Wheel Disc Brakes, 6 Speakers, ABS brakes, Air Conditioning, Alloy wheels, AM/FM radio: SiriusXM, Brake assist, Bumpers: body-color, Carpet Floor Mats, Cloth Seat Trim, Delay-off headlights, Driver door bin, Driver vanity mirror, Dual front impact airbags, Dual front side impact airbags, Electronic Stability Control, Exterior Parking Camera Rear, Four wheel independent suspension, Front anti-roll bar, Front Bucket Seats, Front Center Armrest, Front reading lights, Fully automatic headlights, Illuminated entry, Low tire pressure warning, Occupant sensing airbag, Outside temperature display, Overhead airbag, Overhead console, Panic alarm, Passenger door bin, Passenger vanity mirror, Power door mirrors, Power steering, Power windows, Radio: AM/FM/MP3/SiriusXM, Rear anti-roll bar, Rear seat center armrest, Rear window defroster, Rear window wiper, Remote keyless entry, Security system, Speed control, Speed-sensing steering, Split folding rear seat, Spoiler, Steering wheel mounted audio controls, Tachometer, Telescoping steering wheel, Tilt steering wheel, Traction control, Trip computer, Variably intermittent wipers. 2018 Kia Sportage Black Cherry LX NO PRESSURE SALES!!! Citrus Motors, Where No Pressure Means A Great Deal! Call to confirm availability and setup your appointment today! 888-399-0475. We are located at: 1375 S Woodruff Way Ontario, CA 91761 www.CitrusMotors.com/ Clean CARFAX. 4-Wheel Disc Brakes, 6 Speakers, ABS brakes, Air Conditioning, Alloy wheels, AM/FM radio: SiriusXM, Anti-whiplash front head restraints, Blind spot sensor: warning, Brake assist, Bumpers: body-color, Cargo Mat, Carpeted Floor Mats, Delay-off headlights, Driver door bin, Driver vanity mirror, Dual front impact airbags, Dual front side impact airbags, Electronic Stability Control, Emergency communication system, Exterior Parking Camera Rear, Four wheel independent suspension, Front anti-roll bar, Front Bucket Seats, Front Center Armrest, Front fog lights, Front reading lights, Fully automatic headlights, Heated door mirrors, Illuminated entry, Knee airbag, Leather Shift Knob, Leather steering wheel, Low tire pressure warning, Occupant sensing airbag, Outside temperature display, Overhead airbag, Overhead console, Panic alarm, Passenger door bin, Passenger vanity mirror, Power door mirrors, Power driver seat, Power steering, Power windows, Radio data system, Radio: AM/FM/MP3/SiriusXM Audio System, Rear anti-roll bar, Rear Bumper Applique, Rear Parking Sensors, Rear seat center armrest, Rear window defroster, Remote keyless entry, Security system, Speed control, Speed-sensing steering, Split folding rear seat, Spoiler, Sport Cloth Seat Trim, Steering wheel mounted audio controls, Tachometer, Telescoping steering wheel, Tilt steering wheel, Traction control, Trip computer, Turn signal indicator mirrors, Variably intermittent wipers. 2018 Kia Optima Snow White Pearl S NO PRESSURE SALES!!! Citrus Motors, Where No Pressure Means A Great Deal! Call to confirm availability and setup your appointment today! 888-399-0475. We are located at: 1375 S Woodruff Way Ontario, CA 91761 www.CitrusMotors.com/ Clean CARFAX. CARFAX One-Owner. Pre-owned vehicle pricing includes all offers and incentives. Tax, Title and Tags not included in vehicle prices shown and must be paid by the purchaser. While great effort is made to ensure the accuracy of the information on this site, errors do occur so please verify information with a customer service rep. This is easily done by calling us at (833) 808-3826 or by visiting us at the dealership.